It's impossible to deny that Sam Raimi's Evil Dead 2 is an absolute masterpiece of genre cinema. While the first Evil Dead was brilliant and groundbreaking, its first sequel is by far a better film. The director and crew had developed their craft hugely by the time this second film came around, and while it is basically a remake of the first, it is totally fresh and remains a powerful and entertaining viewing experience to this day. You know the drill - a bunch of people visit a cabin in the woods to see a girl's parents, only to discover the cabin is seemingly empty. Upon discovering a chilling recording and the skin-bound Book Of The Dead, a demonic force is unleashed and all Hell breaks loose, leaving the characters to fight for their lives. At the centre of all of the mayhem is our hero Ash, played by the godlike chin and persona that is Bruce Campbell, returning from the first movie. I'd imagine it's no longer a spoiler if I told you he chops off his own possessed hand and replaces it with a chainsaw. I mean, how can something like that not turn out to be brilliant onscreen? 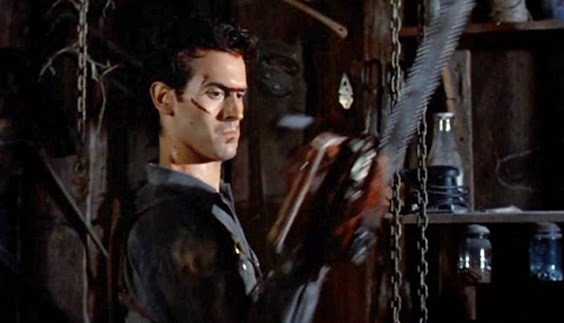 The inventiveness of Evil Dead 2 doesn't let up from start to finish, and while a few effects may look a little dated now, keep in mind that every single damn thing in the film is a practical effect. No CG. Very little in the way of camera tricks. The effects were all practical, models, prosthetics and the like along with a ton of awesomely creepy stop-motion animation. The chaos and comedy are both heightened in this film, with some shots during Ashe's descent into madness both hilarious and terrifying. Take the scene in which the lights and deer head and books and furniture come to life in the cabin and start laughing. That's demented, and depending on how you look at it the scene is either really funny or really unsettling. Maybe both. Actually, more likely both. It's a horror movie in every sense of the word, but Evil Dead 2 is also definitely a comedy, the two genres mixing together into something which wouldn't have been out of place in the old EC horror comics of the 1950s. 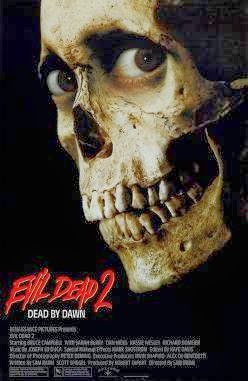 Evil Dead 2 is a badge of honour and a rite of passage - you really need to have seen it several times and own at least one copy if you're going to call yourself any kind of genre movie fan. 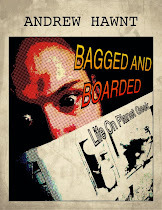 It's funny, scary, fast-paced and a marvel to watch every single time. A great deal has been written and said about the film by a great many people, so I'll wrap things up by saying you need it, and if you already have it, you need to watch it again and bask in its glory. I think that's tonight's viewing sorted for me!